It used to be that content marketing meant just that - just content, with perhaps static images. Then along came infographics and animated gifs, which enlivened our visual experiences. Well, those ‘static’ days of the Internet are now behind us, thanks to the growing popularity of videos in general, and video marketing in particular. According to a recent Cisco study, by 2021 82% of consumer internet traffic will be video. That’s a lot of bandwidth-sucking streaming. Some 67% of respondents use video on YouTube, while others use them on landing pages (57%), recorded webinars (55%) and emails (55%). Around 56% of marketers have created webinars as part of a campaign. This was closely followed by demos (52%) and social media videos (51%). Other videos being invested in were explainer videos (49%), product videos (47%), customer testimonial videos (41%) and educational (‘how to’) videos (34%). Awareness, of course, isn’t the only aim of the game when it comes to video marketing. You also want - in fact, need - your content to drive conversions. Luckily, the research found that video content is still effective at driving conversions, with 59% of respondents saying that video performs somewhat or much better than other types of content. As the saying goes, ‘Hope is not a strategy.’ So, to make video marketing happen - in an effective and consistent way - you’ll need to weave videos into your overall content marketing strategy. 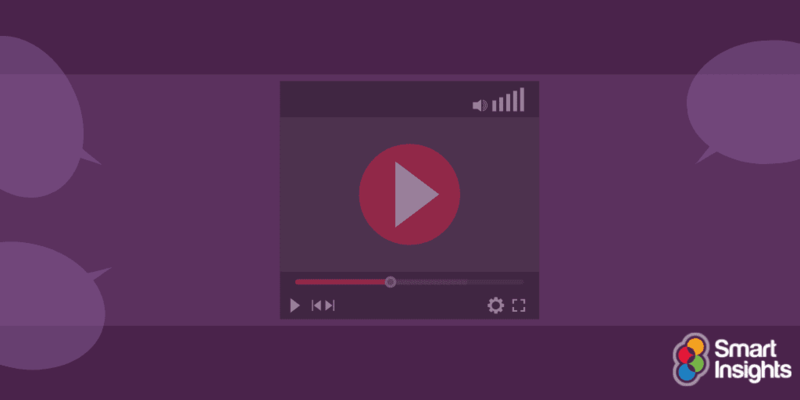 If you haven’t yet created a strategy for your existing content, now’s the perfect time to do so, since your strategy should also include the video component. The best marketing teams these days are results-driven. Business results are tracked in terms of key performance indicators, or KPIs. These metrics represent the 'scorecard' for your content and video marketing efforts. You should identify KPIs for each video and downstream action to ensure that it connects to your strategy and serves its purpose, which often relates to your prospect’s stage in their buying journey, whether it’s awareness, consideration, decision or action (conversion). Don’t just look at the analytics through a single lens, such as the viewing time, click-through rate (CTR), video placement, etc. Video is a multidimensional asset that acts as a mini-funnel on its own, and it should be measured accordingly. Keep this in mind: video usually doesn’t directly cause a conversion, but it primes your prospect’s mind to convert later. Our guide shows you how to review the full opportunities from video marketing whether you are a company looking to integrate video marketing more into your campaigns or a marketing agency looking to improve your video marketing services. Your strategy should also detail the primary distribution point for the video – whether it’s your social channels like Facebook, YouTube and Instagram, or your website’s lead-generation pages. These decisions allow your videos to be optimized in the creation stage. Based on the Demand Metric report and your creative intuition, you should have a good idea which videos to produce. You just need to decide when and where to show them to your prospects. Sending their emails and seeing what they open and clicks (your email automation tool can then direct them to the best nurturing step). By engaging them with online chat (AI-based or manual), which qualifies the lead and again guides them to the next step. Using the segmentation available from your analytics (or, ideally, personalisation) or social media platform. My personal mantra is, 'If the task isn’t on my calendar, it doesn’t exist.' This is a good principle to apply to your video marketing, too. Create an editorial calendar that specifies what content you will produce, when, and in what format (blog, e-book, video, etc.). Having this laid-out allows you to assess the resources you’ll need to produce all of that content. After all, the grandest content and video production plans will soon fall flat if you don’t have the people needed to execute them in a timely manner. Hubspot does a good job of describing the full content management process. They also offer several free content strategy templates. When it comes to creating video content, you don’t have time or budget to waste. So, while synergies may happen randomly in life, they should be purposely built into your content marketing workflow. Two ways you can do this are following the hub-and-spoke model and repurposing your existing content. A good content marketing system follows the 'hub and spoke' model; the high-level article 'hubs' summarize overall topics, and the 'spokes' drill into details on subtopics. Are 'all season' tires the only ones you need? You should follow a similar approach for the videos you produce. That is, first answer your prospects’ more general questions, then address their more detailed ones. Most importantly, include links from your hub to your spoke topics, and from spoke to spoke, so your prospects can learn in a natural sequence. By simply serving up your content in this sequence you’ll be steps ahead of your competition. If you’ve done much content marketing to this point, you’ve probably invested a significant amount of time planning, researching, writing, editing and publishing your existing content. Now’s the time to start getting a higher return on that investment. Create one or more videos for each article you’ve published. Here’s your opportunity to break your content down into the main points you want to make and share. In our increasingly attention-deficit, 'sound byte' culture, shorter, shorter, focused videos are what will get you more clicks and (ironically) longer views. Insert splash images of your videos into your existing articles and embed your video links within them. That way your video-biased prospects’ can skip to the video version and save reading time. Finally, for all videos you insert, include the video duration. This will help your viewer decide whether or not to watch it. Finally, I want to share four 'must do's' for video marketing, principles that I’ve learned the hard way: from making mistakes - experiencing the 'don’t' sides of each of these. Video marketing experts I’ve worked with tell me that shorter videos perform better (in terms of engagement and conversion KPIs). I’ve seen the same borne out by my own video analytics - that views drops off significantly after about 90 seconds unless the videos are highly engaging. Script your videos so that they’re no longer than two minutes in most cases. The only exception I can think of is videos on detailed 'spoke' or 'how-to' topics that require more explanation. But even here you should strive to keep these videos shorter than five to six minutes. While 'quality, useful content' consistently ranks as most important for videos, frequency runs a close second. After all, if you’re sharing useful, easy-to-consume content, your prospects will want to see more of it. Post your videos on all channels (website, social, email, etc.) if it makes sense to. Keep in mind: a) your prospects aren’t seeing all of your channels (they usually have one or two favorites), and b) message repetition is a marketer’s best friend (assuming, of course, that your videos contain valuable, rather than promotional, content; your prospects can quickly smell the difference). Here’s some more supporting data, again from that Demand Metrics report. Satisfaction with video results has a strong correlation with the number of videos being produced. In fact, 82% of those who said they were satisfied or very satisfied with their results from video marketing create over 51 videos a year. Low levels of satisfaction (18%) were seen among those who produce less than five videos a year. So, for best results, commit to producing and posting more videos more often. Never forget that the ultimate point of your marketing videos - and all of your lead-generation content - is to drive action. To do this you need to include a call to action (CTA) in all of your videos. While I say 'in your videos,' you don’t need to directly insert or embed the CTA. In fact, it’s better to insert the CTA as an overlay instead, either via your own marketing automation platform or using your outsourced video marketing agency’s tool. Also, don’t just place the CTA at the end of your videos (or next to the end). Either make it persistent or appear within the first 20 seconds of the video. Your viewer should be able to take the next step whenever they feels their motivation stirred. Obviously, creating the best videos won’t matter if no one sees them. So, do everything you can to get more eyeballs on them. Whenever you post your videos via your content management system or to your social channels, especially YouTube, be sure to fully complete the description field and select all applicable tags. This will ensure the web crawlers find and link to your videos as soon as possible. Devote a of couple hours to researching 'video SEO best practices' to learn more about how to make your videos rank higher in search results pages. The long-time SEO experts at Search Engine Journal share 10 top tips in this article. Videos are no longer just for watching during idle time. If they contain the right content - whether a brand story, feature explainer, or product demo - they can give your prospects just the information they want, at the right time, and thereby become the secret ingredient in your content marketing recipe. If you’ve already published a lot of blog posts and articles, that’s great! You already have the raw material for the new videos you’ll be creating. Extract your highest-value points and script them into mini-videos. Then be sure to augment your team (or find an outsourced video marketing partner) so you can produce and post all of your videos on schedule. Most importantly, track your key KPIs for all the videos you create and post. If you post quality videos, of the right length, and often enough, you’ll find that your video investment will pay for itself many times over. What’s more, since we humans remember pictures better than words, you’ll leave your prospects with a positive, long-lasting brand impression.